Ntel has launched another exciting offer after unveiling their unlimited night plan in December 2017. The 4G LTE provider has unveiled yet another offer called Ntel Wawu SIM. It's already available to all users in Lagos and would be extended to Abuja and River State soon as stated by Ntel. WHAT IS NTEL WAWU SIM? Ntel Wawu sim is a new offer from Ntel that gives subscriber 10GB of data, 500% double data bonus on every data you purchase and also make calls on VoLTE for as low as 8kb/sec. That's not all, Ntel WAWU sim is free and on purchase of the sim, you will get free 1GB data to browse which is valid for 48hours. Below are the full bonuses and their expiring date. The free 1GB data bonus is valid for 48 hours. The 8kb/sec offer for calling all networks is valid for a year. The free 10GB data is valid for 30 days. Visit any ntel Participating device retailer or spot the ntel activation team in your neighborhood and get the ntel WAWU SIM for free (1GB is preloaded which is valid for 48 hours). 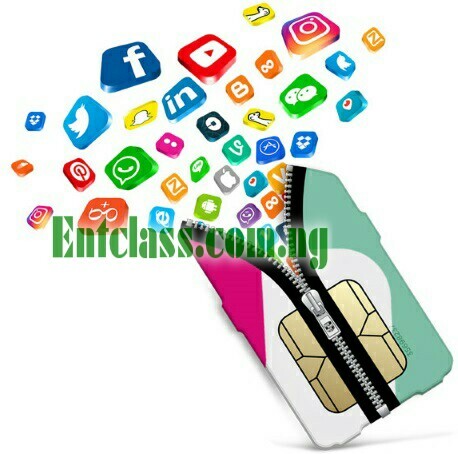 To enjoy the FREE 1GB upon activation, you will be required to complete a short KYC form by visiting myntel.com.ng and login with your Ntel number. To unlock more bonuses, visit any nearest ntel SIM registration center and complete SIM registration to unlock the free 10GB data, 8kb/sec to all networks and 500% bonus on all data plan purchases for one year. This promo is valid until 30th April 2018. What do you think? That was how it was given. If you go to their office, you can get everything done. Just ask for a Wawu sim. That's a good marketing move, but does it mean the 1GB can be used without registering the sim. You need to register the sim and fill out the KYC form.